Inside Hoosier Magnetics. 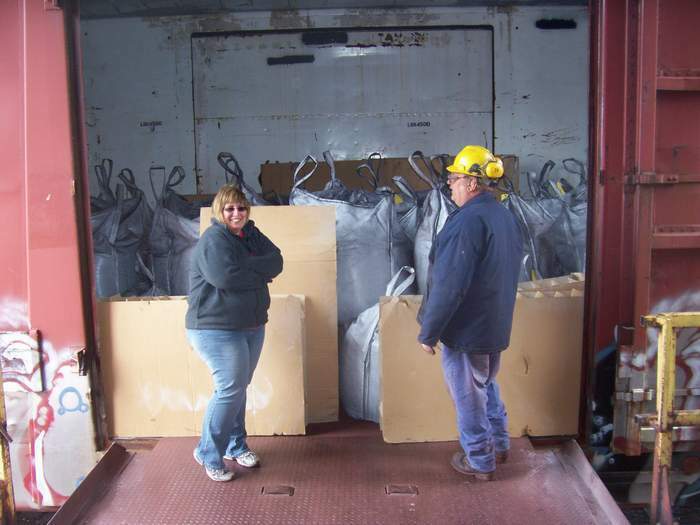 On left is Kim Fenton, logistics manager, on right is Dean Paro inspecting a load about to be shipped out. Circa 2004. Ogdensburg, NY. Photo by J. Hebda.